How Far is Saishakti Bhaskara Signature? Saishakti Infrastructure Private Limited has completed yet another project in Hyderabad. 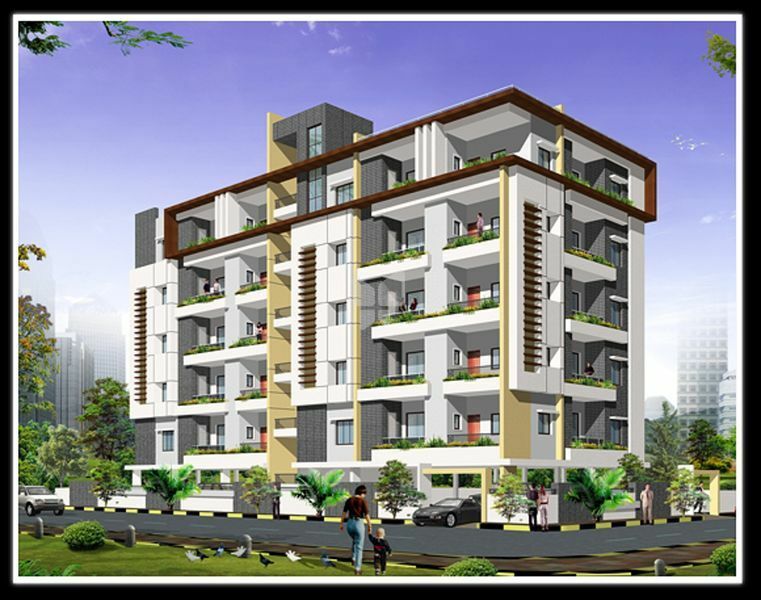 Bhaskara Signature is located in S R Nagar. Located in Model Colony next to SR Nagar. In-between ESI and Saint Teresa’ Hospital, Surrounded with pleasant green environment and huge park nearby. Bhaskara Signature with 10 exclusive apartments carved as unique as your signature, the venture enhances the beauty of the locations and is a treasured gem of contemporary living. Earthquake resistant (as per Zone II specifications)RCC framesstructure. Glazed ceramic tile dado upto Lintel Level. Sanitary ware of ROCA/ Equivalent make for all bathroom. All C.P fittings are chrome plated of jaguar or equivalent make for all bathrooms. Interiors: Smooth finish with Birla putty with 2 coats of Acrylic emulsion paint. Exterior: Textured paints & Cladding as per architects specifications. Polished granite top cooking platform with stainless steel sink. Provision for exhaust fan, water filter and chimney. Glazed ceramic tile dado up Lintel Level, above kitchen platform. Telephone points and TV pointsin allthe rooms. Intercom connection between all the flats , security and watchman room. Superior quality vitrified tiles in bedrooms. Frames: All door frames with teak. Main Door: Paneled teak wood shutter with quality fittings and locks with both sides polish. Internal Doors: OST panel shutter with one side polish. Best quality modular type switches and sockets of Legrand or equivalentmake. Adequate number of Power Points in every room considering interior layouts. Separate metering for power for each house for normal supply.